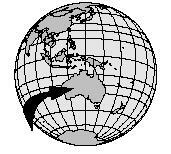 Australia is the world's smallest continent. Lying southeast of Asia between the Pacific and Indian oceans, its diverse landscapes and climates are home to a wide variety of plants and animals. It is generally warm and dry all year round, with no extreme cold and little frost. Average annual rainfall is 17 inches (42 centimeters), much less than the mean for all the countries of the world of 26 inches (66 centimeters). As a result, insufficient rainfall can cause droughts that threaten to destroy crops. The country's limited rainfall can also cause problems with water quality and availability. Because Australia produces most of its own food, a water shortage for plants and animals can cause agricultural production to suffer. Captain Arthur Phillip of England established the first modern settlement in Australia in January 1788. The settlers were not very experienced as farmers and early agricultural practices were disastrous. Crop failure caused food shortages and even starvation. Settlers depended on goods imported from England—such as tea, flour, beef, oatmeal, and cheese—to survive. They also learned to eat foods they found around them, such as fish and wild fruits and nuts. result, cuisines from other countries, such as Italy, Greece, and Lebanon, became popular. Europeans introduced tea, cocoa, coffee, fruits, and a variety of cheeses, and Asians introduced new spices and the technique of stir-fry. The end of World War II brought about significant change in Australian cuisine. People from Europe and Asia brought new crops, seasonings, and cooking methods with them. Wheat, rice, oranges, bananas, and grapes are just a few of the crops that grow in abundance throughout the country. Meat has always been a large part of the Australian diet, although Australians (like others around the world) began to be concerned about controlling cholesterol and fat in their diet, and decreased their consumption of meat slightly toward the end of the twentieth century. Kangaroo, though once a popular meat in Australia's early history, is no longer widely consumed; beef, lamb, pork, poultry, and seafood are more common in twenty-first century Australia. Carefully remove several firm leaves from the head of lettuce, and arrange in a bowl. Mix the remaining ingredients in a bowl. Mound mixture in the lettuce "cup." Serve with cottage cheese, chicken, or lean cold meat. A typical breakfast may consist of fruit, toast with Vegemite (a salty yeast spread), fried eggs and bacon, and juice. Lunch may be an apple or a salad (such as Grated Carrot, Apple, and Raisin salad), a sandwich filled with tuna or deli meats, and an ANZAC biscuit for a treat. (ANZAC is the acronym for Australia and New Zealand Army Corps. No one knows for sure, but many people think these biscuits were first prepared for troops—and for Australian and New Zealand families—around 1915 during World War I.) Dinnertime often brings leg of lamb or barbecued prawns (shrimp), roasted vegetables, a salad, and a custard or tart for dessert. Damper , a simple homemade bread, and billy tea , named for the pot it is heated in, both remain a staple for any meal. Combine ground beef, ketchup, onion, salt, milk, breadcrumbs, oregano, and pepper in a bowl. Divide mixture into 2 pie shells and bake for about 45 minutes. While the pies are baking, mix together Worcestershire sauce and cheese in another bowl. 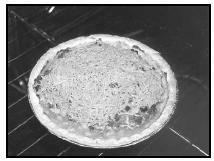 After about 45 minutes, remove pies from oven. Spread Worcestershire sauce and cheese mixture on top of pie shells. Bake for about 10 more minutes, or until cheese is melted. Meat pie, with dozens of recipe variations, is considered the Australian national dish. Measure water into a saucepan and heat. Sprinkle coffee on top of water. Add salt and mustard, if desired. Heat the mixture slowly to the boiling point. Let stand for 5 minutes and strain. Serve coffee with a slice of lemon in each cup. Combine oatmeal, sugar, white flour, and whole-wheat flour in a bowl. Melt margarine and add corn syrup and water in a small pan over heat. Add the baking soda to pan and stir until fizzy. Pour contents in pan into the bowl with dry ingredients and stir well. Shape dough into balls and flatten with a fork on a tray. Makes about 4 dozen biscuits. Anzac biscuits have been popular with Australians for decades. Mix together butter, sugar, vanilla, and eggs. Slowly add baking powder, baking soda, flour, milk, and salt. Pour mixture into an 8-inch square cake pan and bake for about 45 minutes. Let cool and store overnight in a sealed container. Make icing: Measure confectioners' sugar and cocoa into a large mixing bowl. Heat milk and 2 teaspoons butter until the butter is melted. Add the milk gradually to the sugar mixture, stirring constantly. The icing should be fluid but not too runny. Cut the cooled cake into 2-inch squares, and put the coconut into a shallow baking dish. Have ready a cooling rack set over a sheet of waxed paper to catch icing drips. Holding a cake square with two forks, dip it into the icing, and then roll in the coconut. Transfer to rack to dry. Repeat until all cake square are coated. A Biscuit for a Treat? Australians, like the English, call cookies "biscuits." They often use the nickname "bickies" or "bikkies" especially when offering a biscuit to a child (or even when offering a treat to a pet). Every household has a biscuit tin, a decorative round tin with a lid, to keep the supply of biscuits handy. Most Australians spend holidays with family, participating in special events and preparing a festive meal. Since the temperatures are mild, meals are often consumed outdoors at a picnic or on the beach. Because Australia is in the Southern Hemisphere, the seasons are the opposite of those in North America and Europe. Christmas falls in the middle of summer, when most school children are on their summer vacation. A typical Christmas menu may include a variety of hot and cold meats, seafood, pasta, salads, and many types of desserts. Mince pies, fruitcake, shortbread, and plum pudding are also popular after-dinner treats. Christmas puddings may contain a small favor baked inside. It is said that the person who finds the favor will be blessed with good luck. Easter is also widely celebrated in Australia. A traditional menu consists of roast lamb, beef, or chicken with roasted vegetables such as potatoes, carrots, peas, or broccoli. Seafood, lasagna, and salads are also favorites. Pavlova, an elegant dessert made of egg whites and sugar and garnished with fruit, is a popular Easter dessert. Most children prefer candy, and chocolate eggs are Easter favorites. Treats are often shaped like an Easter bilby, an endangered Australian mammal that resembles the North American Easter bunny. Mix flour, sugar, and rice flour in a bowl. Add the butter by rubbing in with fingertips. Press mixture together to form a dough ball. Divide dough in half, placing one rounded, ½-inch thick piece on each cookie sheet. Gently mark out eight equal portions on each piece, radiating from the center. Prick dough with a fork. Allow the shortbread to cool and store in an airtight container. Cover a cookie sheet with cooking parchment. In a very clean and dry bowl, use an electric mixer to beat egg whites until soft peaks form. Slowly add sugar, sprinkling it into the bowl one spoonful at a time while continuing to beat the mixture until all the sugar has been added. Sprinkle in the pinch of salt, and then slowly add the vinegar and vanilla, a few drops at a time. Finally, beat in the cornstarch. Continue beating until the mixture stands in stiff peaks. Place mixture onto the center of the paper on tray, and spread it into a circle about 8 or 9 inches in diameter (20 to 22 centimeters). Make a slight indentation in the center. Place the cookie sheet on the center rack in the oven and bake for 1 hour. Do not open the oven door while the pavlova is baking. Leave pavlova in the oven to cool. When completely cool, peel off the paper and place the pavlova on a serving plate. Whip the heavy whipping cream with a teaspoon of sugar and ½ teaspoon vanilla. Spread the pavlova with whipped cream and sliced fruit (kiwi and strawberries are traditional). While not authentic, this recipe will produce a dessert that resembles pavlova. Place meringue shells on a serving tray. Fill each with a generous dollop of whipped topping. Cover with sliced strawberries and kiwi. Mound spoonfuls of whipped topping into prepared meringue shells. Serve quick pavlova garnished with fruit such as sliced kiwi or strawberries. friends. 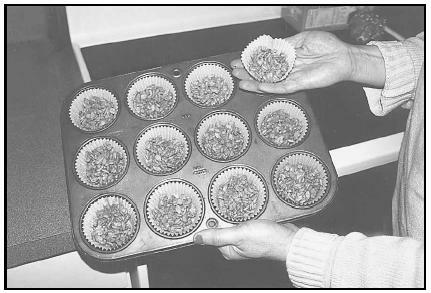 The introduction of microwave cooking helped to speed the cooking process for busy Australian families, and also helped keep their kitchens cooler. As of 2000, nearly half of all households owned a microwave oven. Chocolate Crackles combine crunchy rice cereal with a sweet chocolate coating. 7 A.M. and 10 A.M. Lunch is increasingly being bought on the go as fast food. Australians' afternoon "tea and biscuits," served around 4 P.M. , is usually composed of tea (or other beverage) accompanied by biscuits (cookies), small sandwiches, scones, or cakes. For school children, afternoon tea is the after-school snack. Dinner, the largest meal of the day, is served around 6 P.M. and is traditionally eaten European style, with the fork in the left hand and the tines pointing down, and the knife in the right. Children normally enjoy snacks during the day, such as fruit, a beverage, or a small sandwich. Milo, similar to instant hot chocolate mix, is often used as an ingredient in snacks or drunk alone. Lamingtons, Chocolate Crackles (similar to crispy rice cereal treats in North America), ANZAC biscuits, or just a simple fruit salad, are also popular among children. Restaurants offer a wide variety of cuisines for those who prefer to eat out. They often offer seafood and meats that are not normally prepared at home, such as stingray and emu (similar to the ostrich). Cafes offer lunch and afternoon tea and serve as meeting places. Such places also offer a variety of beverages. Coffee is growing in popularity, although tea is preferred in the afternoon and on Sundays, a traditional day for visiting with family and friends. Melt the shortening in a large saucepan over low heat or in a microwave oven. Add crispy rice cereal, confectioners' sugar, and cocoa to the saucepan. Spoon mixture into paper cupcake holders. Chill for 12 to 24 hours in the refrigerator. Toast 4 slices of bread. Spread 2 slices with Vegemite spread. Spread 2 slices with Milo spread. Cut toast into triangles and serve with milk or juice as a snack. May be eaten as a light breakfast or after-school snack. To prepare Milo spread, combine butter or margarine and powdered hot chocolate mix in a bowl. Beat the mixture until well combined. Store the Milo mixture in a covered container in the refrigerator. 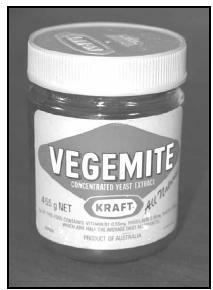 Vegemite's distinctive jar with the red and yellow label may be found in large supermarkets around the world. Beginning in the 1980s, Australian adults (like adults in many developed countries) began to improve their eating habits, according to a 1995 Australian Bureau of Statistics study. Meat, a source of saturated fat, is being consumed less. Chicken and seafood are eaten more frequently. Fruits, vegetables, and grains are also consumed more often. There is, however, also an increase in the purchase and consumption outside of the home of foods and beverages that are generally higher in fat. Approximately 64 percent of men and nearly half of all women are overweight or obese. The study included the diet of Australian children under the age of 15. It found that around one-third of children younger than 12 had no fruit in their diets, and more than one-fifth had no vegetables. The amount of sugar consumption, however, declined and vegetable consumption increased with age. The majority of children usually eat breakfast on five or more days per week, with 12- to 15-year-olds eating breakfast the least often. Promoting healthy eating habits among children is an important issue in Australia. The government has allocated funding for community projects, mostly for the disadvantaged. Fresh and nutritious foods are often unavailable for children in rural and remote areas. 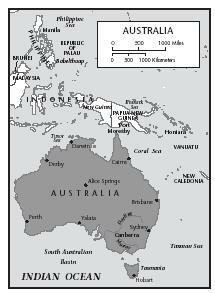 Indigenous (native) groups, such as the Aborigines, frequently live in these disadvantaged areas. Cook, Deanna. The Kids' Multicultural Cookbook . Vermont: Williamson Publishing, 1995. Meisel, Jacqueline Drobis. Australia: The Land Down Under (Exploring Cultures of the World) . New York: Benchmark Books, 1998. Newman, Graeme and Betsy. Good Food from Australia: A Down Under Cookbook . New York: Hippocrene Books, Inc., 1997. Pascoe, Elise. Australia the Beautiful Cookbook . San Francisco: Collins Publishers, 1995. Australia New Zealand Food Standards Council. [Online] Available http://www.anzfa.gov.au/ (accessed January 17, 2001). The Australian Academy of Technological Sciences and Engineering. [Online] Available http://www.atse.org.au/ (accessed January 15, 2001). The Australian Institute of Health and Welfare. [Online] Available http://www.aihw.gov.au/ (accessed January 17, 2001). Australian Tourist Commission. [Online] Available http://www.aussie.net.au/ (accessed January 11, 2001). BushLink: Inland Australia Online. [Online] Available http://www.bushlink.com.au/ (accessed January 17, 2001). Concierge.com. [Online] Available http://www.concierge.com (accessed January 10, 2001). Food Law and Policy Australia. [Online] Available http://www.ausfoodnews.com.au/ (accessed January 17, 2001). Looksmart Australia. [Online] Available http://www.looksmart.com.au/ (accessed January 10, 2001). Nutrition Australia. [Online] Available http://www.nutritionaustralia.org/ (accessed January 10, 2001). Santa's Net. [Online] Available http://www.santas.net/australianchristmas.htm/ (accessed January 10, 2001). I have to say I have never heard of a carrot raisin and apple salad being an Australian classic type of salad. I've actually never heard of it ever! Also, no one drinks coffee like that in Australia, and I haven't eaten damper or Billy tea except on school camps as a child, and even then it was for kitsch value. 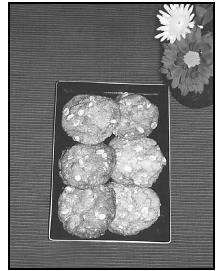 Anzac biscuits were created by the CWA society as they didn't require eggs during rationing, and they would stay fresh in transit to the troops in Europe during WWI and WWII. Oh, and we don't put cheese in our pies generally, that would be a cheese and onion pie that would be the same as the above, but with fried onions and cheese added before the pastry lid goes on. But chocolate crackles and pavlova are definitely a must at every child's birthday party! I have to second that. Nobody in Aus drinks their coffee like that, and I also have never heard of that salad, nor the milo spread. Meat pies, lamingtons, pavlova, Anzac biscuits and chocolate crackles however, are all part of the Australian diet. Sad, really. whoever made this has never been to Australia clearly, get your facts straight before you post it online. We respect our coffees, we love coffees and here in Australia I have never seen someone drinking their coffee like that? which country are you taking about ?